Still at its best, Johnson & Starley Warm Air Heating ..
Compliant with Building Regulations Part L, WarmCair heaters produce up to 36kW heat output and are up to 98% thermally efficient. Savings in gas consumption can be as much as 28%. An optional ‘Cleanflow’ electronic air filtration system provides the added benefit of filtered air with the ability to filter 95% of airborne pollutants as small as 1 micron including pollen, dust and cigarette smoke. 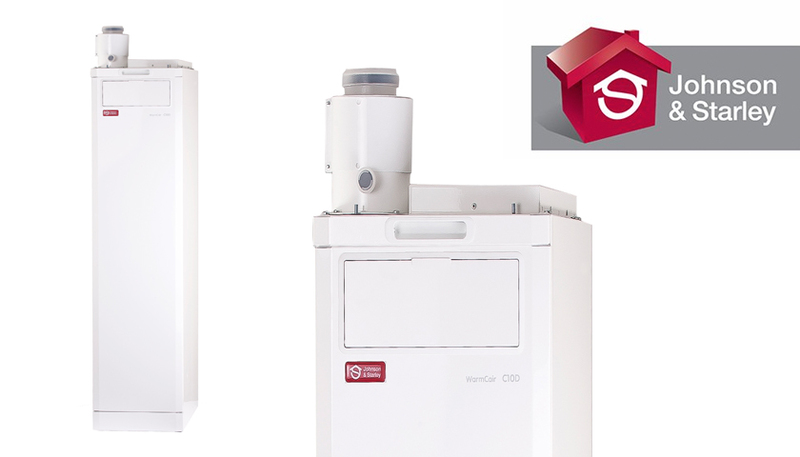 To find out more about warm air heating by Johnson & Starley, please click here.